I love featuring Tickled Peach Studio on the blog. 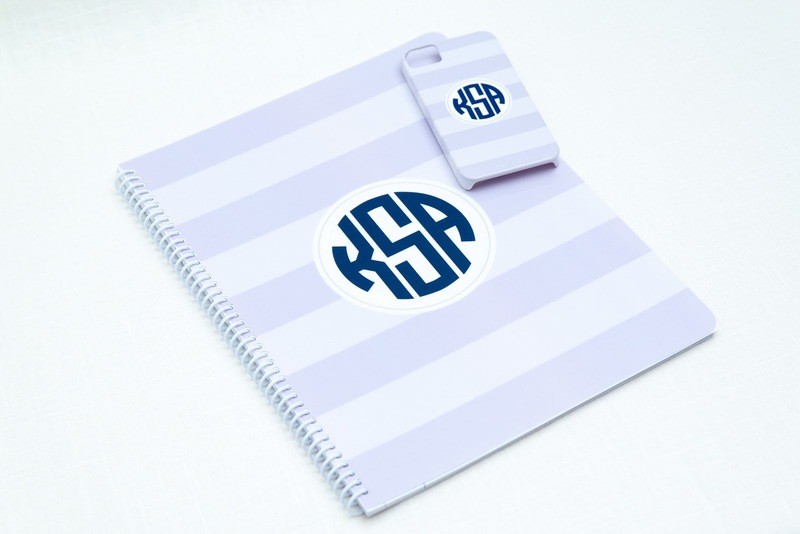 So many cute things available besides invitations, like kids personalized placemats, super cute stationery, and even iPhone cases. 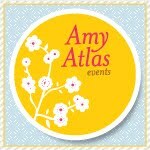 I've invited Kathy to tell us a little bit about her Spring Collection. Kathy: My spring collection is all about happiness and full of my personal favorites! 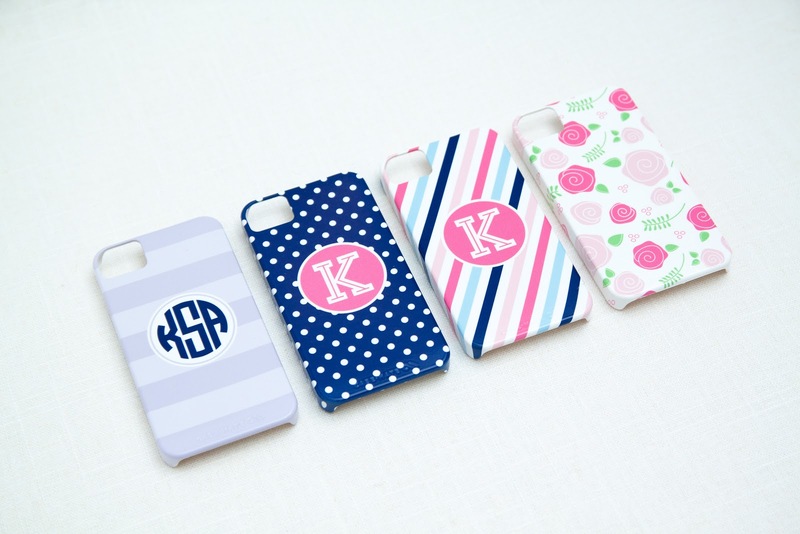 I love stripes, polka dots, and florals - perfect for spring. My personal favorite is the Fresh Roses Collection. 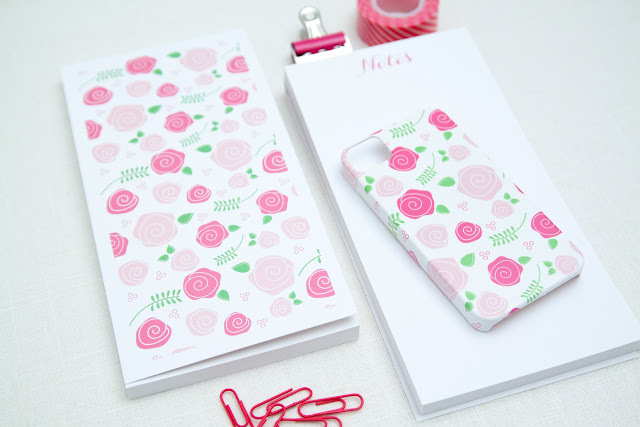 The fresh roses iPhone case is currently on my phone and my favorite choice for spring. 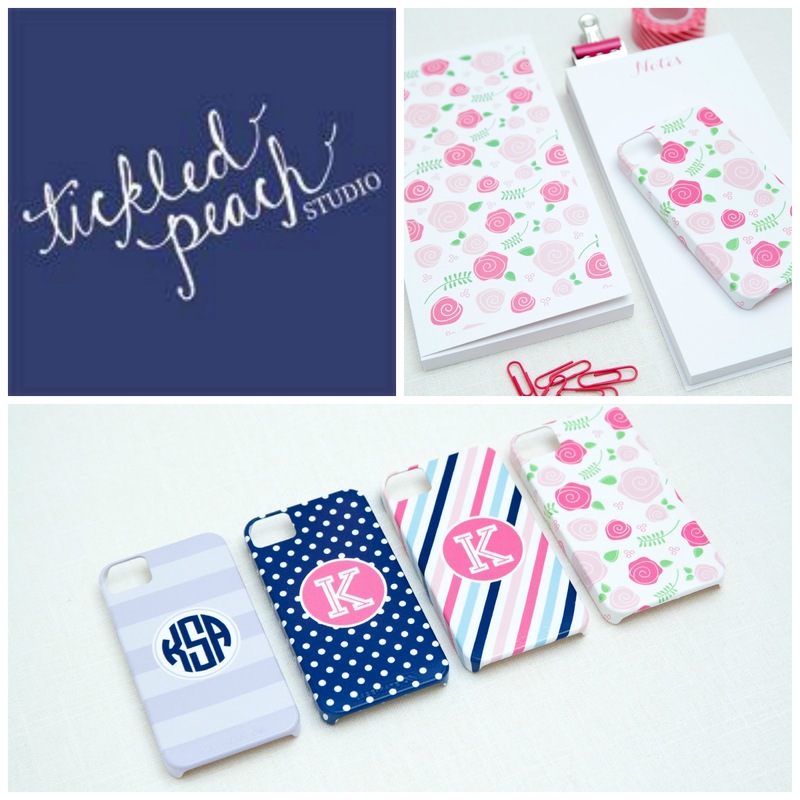 The fun, flirty, and bright floral pattern is perfect for dressing up your iPhone that you use everyday. Something new for the spring collection are hard cover journals. 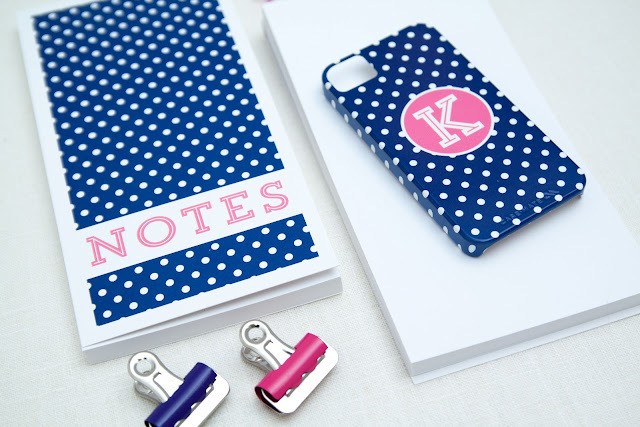 These would make a perfect graduation gift for your college bound graduate! They are the perfect size for tossing in a bag for those quick notes. 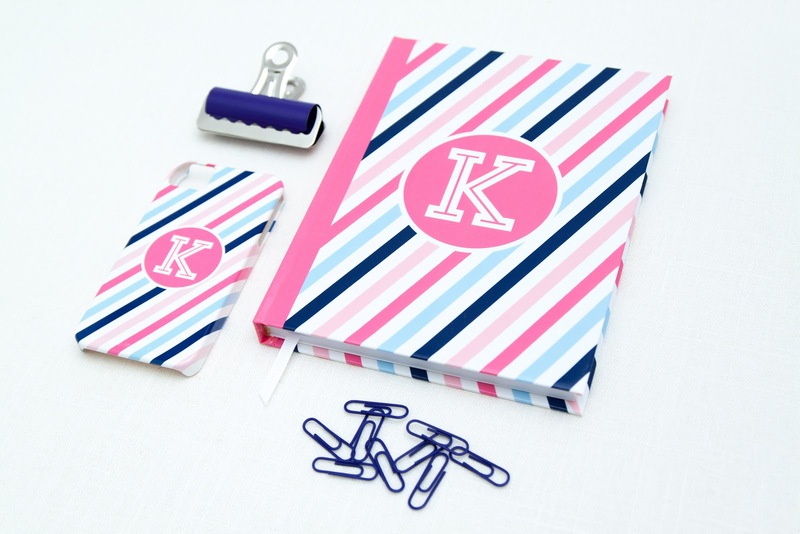 The journal include 120 pages lined on 1 side and a white grosgrain bookmark ribbon. If you are looking for a cute notepad to take on the the go, check out the new foldover notepads. Toss it in your bag on the go or keep them on your desk for quick notes. The cover is printed on classic felt press paper and is filled with 50 sheets of thick white paper. 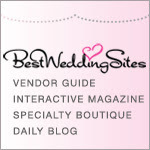 Use code SPRING10 at checkout for 10% off your entire order until April 28th!